Growing up, classic coconut macaroons were a favorite in our house. We called them besitos de coco (coconut kisses), and enjoyed the chewy treats as often as possible. 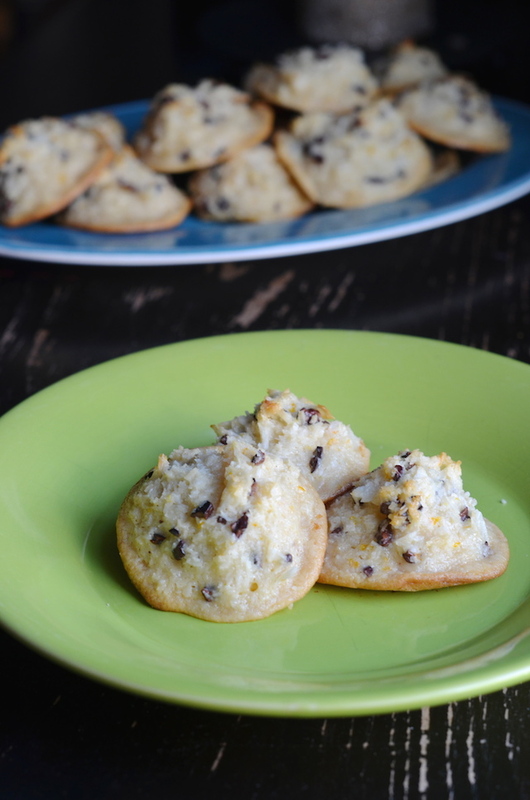 I've made several versions of them over the years, but these Orange Cocoa Chip Coconut Macaroon Cookies are definitely my new favorite. With Easter just a few days away, I thought I'd share this simple recipe that you can whip up in less than half an hour. I've teamed up with Nestlé and ElMejorNido.com this Spring to share a few fun and easy recipes featuring some of their products that I've used for years. First up is La Lechera Sweetened Condensed Milk, which is a favorite of mine for things like making homemade dulce de leche and (my favorite!) Christmas coquito. While some macaroon recipes call for separating eggs and baking at super low temperatures, this easy recipe uses the condensed milk as well as a whole egg (no separating!) to both sweeten and bind the ingredients in a single step. It's a trick I hadn't tried before, but now that I have, I'm totally hooked! 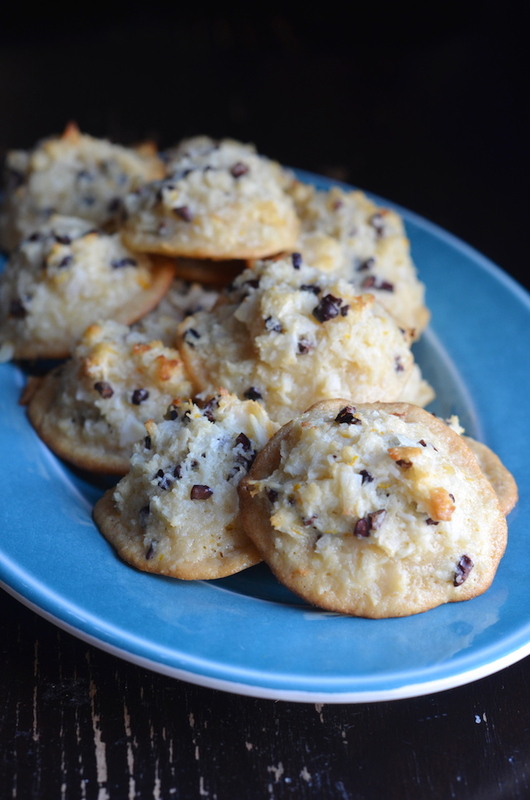 Like a cross between a chewy chocolate chip cookie and a flaky coconut macaroon, these Orange Cocoa Chip Coconut Macaroon Cookies have a soft cookie-like base, and the equal-parts crunchy and chewy mound of coconut on top that one expects from a macaroon. Honestly, they're kind of magical! 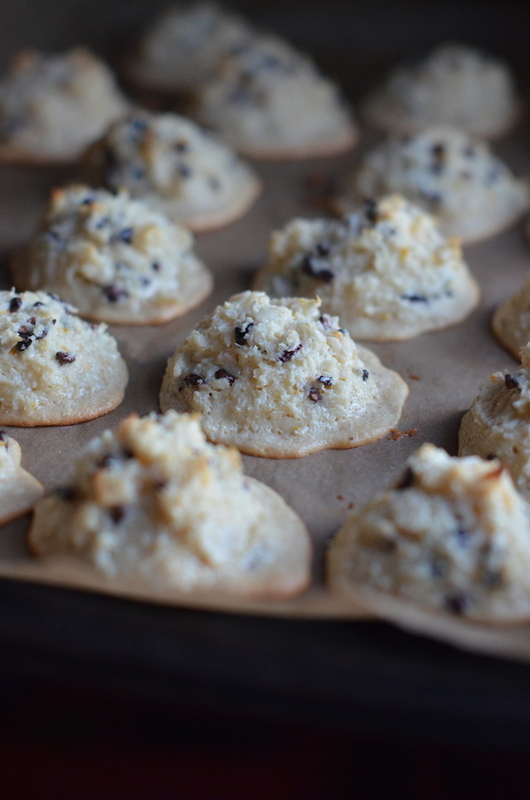 The trick to these cookies is to use both large flaky coconut chips, and ground desiccated coconut. When baked, the ground coconut creates the base, while the flaky chips mound up on top in a way that almost seems like magic. 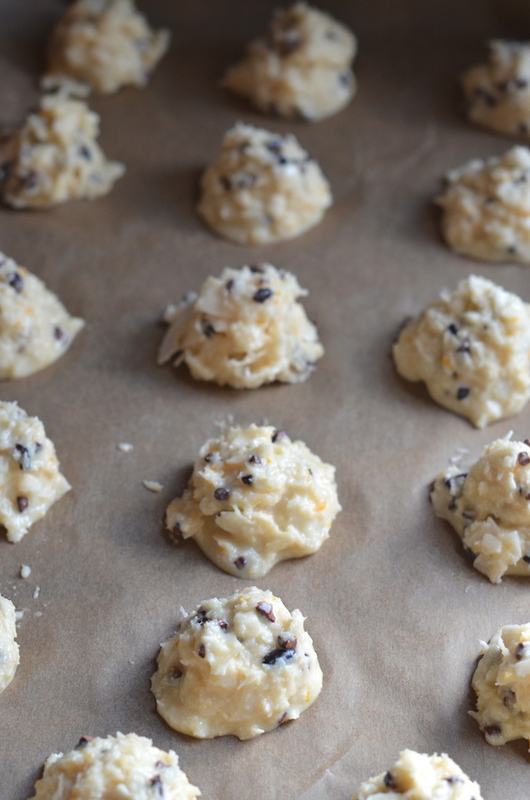 This recipe makes about 20 or so cookies, depending on how big you scoop them, and they keep well for a few days so you can make them in advance. Also feel free to play around with the flavors! Substitute lemon or lime zest, add chopped nuts or dried fruit, or even drizzle a bit of chocolate on top after they're done baking! This post is sponsored by Nestlé and ElMejorNido.com. For more great recipes and ideas, visit ElMejorNido.com. In a large bowl, whisk together egg, condensed milk, and vanilla extract. 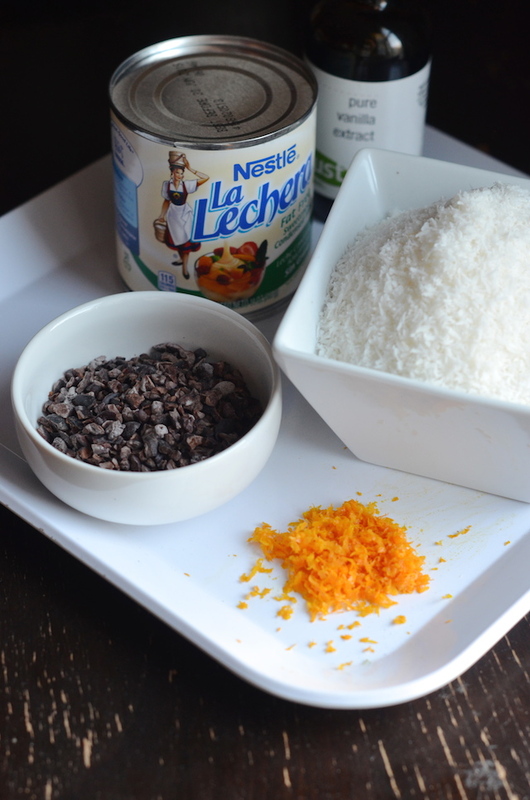 Add the coconut, cocoa nibs, coconut flakes, orange zest, cinnamon, and salt, and stir well to combine. Use a cookie scoop or tablespoon to scoop the batter onto the prepared baking sheet, about 1 ½ inches apart. Bake 20 - 25 minutes, or until cookies are slightly toasted around the edges, bottom, and on top. Transfer cookies to a rack and let cool completely before serving.